When will be British Police Murdered on Duty next episode air date? Is British Police Murdered on Duty renewed or cancelled? Where to countdown British Police Murdered on Duty air dates? Is British Police Murdered on Duty worth watching? 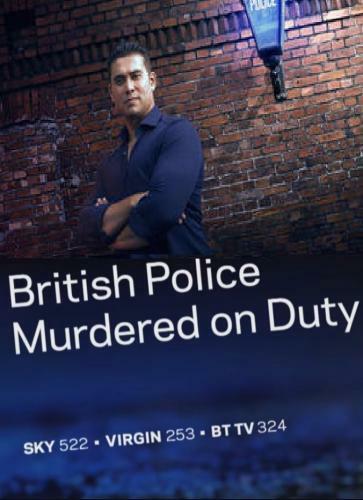 Presented by Rav Wilding, the show commemorates brave police officers murdered in the line of duty. The series tells the stories of the most high-profile police murders of the past 50 years, including the infamous Shepherd's Bush murders, Dale Cregan's murder of PC Nicola Hughes and PC Fiona Bones and the murder of PC Ian Broadhurst. Combining first-hand accounts and expert analysis, viewers are given real background and insight into the role of the police officer and how the thin blue line they walk o#en leads them into danger. Recounting the case of police officers David Wombwell, Christopher Head and Geoffrey Fox, who were killed by hardened criminal Harry Roberts and two associates while patrolling an area of west London in August 1966. Dubbed The Shepherd's Bush Murders, the crime shocked the nation. How wanted murderer Dale Cregan ambushed and killed two female PCs on a routine callout in Manchester in September 2012. Presented by Rav Wilding. How the stopping of a suspected stolen car led to the murder of PC Ian Broadhurst by fugitive David Bieber, who was on the run from Florida law enforcement. British Police Murdered on Duty next episode air date provides TVMaze for you. EpisoDate.com is your TV show guide to Countdown British Police Murdered on Duty Episode Air Dates and to stay in touch with British Police Murdered on Duty next episode Air Date and your others favorite TV Shows. Add the shows you like to a "Watchlist" and let the site take it from there.